Count me in for the chess strategy. I love playing it and have been playing it for over 10 years. ^you know i don't think that Jelly Bellys get the credit in that "...than sliced bread" talk. i mean, how do they pack so much dictinct flavor in such a small 'lil jelly bean. pretty far out scientific advancements if you ask me. Good call. I'd have to say that Juicy Pear is my favorite flavor. But, yeah. That's amazing that Mike is going to challenge le Oh Kee Pah to some chess. I have no idea how to play, so I guess I'll just be in the peanut gallery during this clash of the titans. MIKE, if you want a teammate, drop me a line, we'll take these bastards out. Teh_brown has got to his mind! this is amazing!!! i can't believe were going to be on the phish net, they were like the 3d internet group for a band ever! and now we are going ot be on... great job to everyone involved, dbphan, you deserve tons o' credit. This is going to be one flooded board, I say we challenge Fishman to a game of online pool. you fools! Teh Brown was sending in a spy to sabotage Mike! 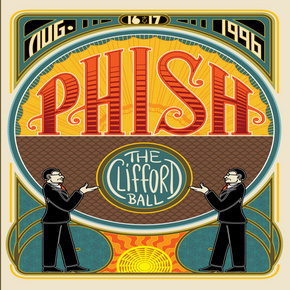 I just got word back from Ellis Goddard from phish.net that he's going to post this event on their site...THIS IS HUGE!!! We're about to get flooded with memberships here guys...stick to your guns, embrace the newbs, and start studying chess moves...we are going to make this worthwhile!! These are very exciting times at the ohpkeepa! Haha, noob, funny word. I hate it too. Last edited by Anonymous on Thu Jan 26, 2006 2:54 am, edited 1 time in total. nice, so the move made by the move makers will be posted in that form? Very cool, Very cool! How frickin exciteing! yep.. i figure we'll devise an order... and people will send their submissions to astral or another goderator with access. 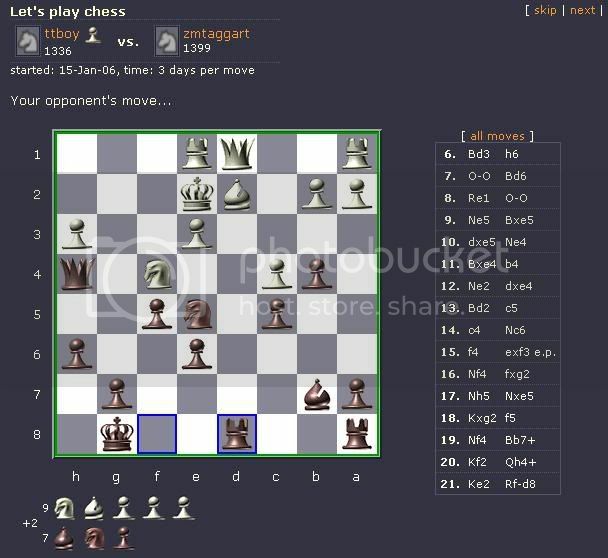 once moves are made i can go in, rip the image and post it in a designated chess thread. of course i'm giving astral the final call on the logistics but i think that would work well. we can also use the thread to discuss strategy... if people are unsure about their move they can jump in and ask for advice. edit: although we'll have to ban mike from the thread! Last edited by Anonymous on Thu Jan 26, 2006 3:03 am, edited 1 time in total. sweet! good work to everyone who helped make this happen...the oh kee pa is so damn cool. this is gunna be sooo awsome! Are we gonna be white or black? I agree, I would have to say it would be Mike's choice since we challenged him. I know that the Duo (Benevento Russo) are in the stuidio now putting together a new album, maybe Mike is working on it with them??? I still like the idea of posting a poll for every move. We list five or six good moves and anyone that wants to votes on the move and the move that gets the most votes is our next move. also, some games are 80 moves long... that would mean 80 individual threads... could get messy, especially if people post on past polls. Last edited by Anonymous on Fri Jan 27, 2006 3:33 am, edited 1 time in total.